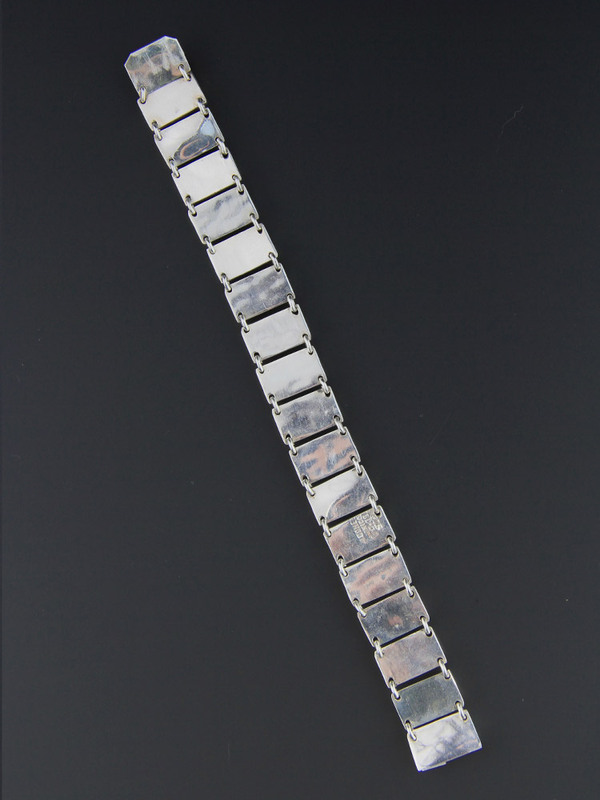 Lovely quality Mexican sterling silver modernist bracelet. 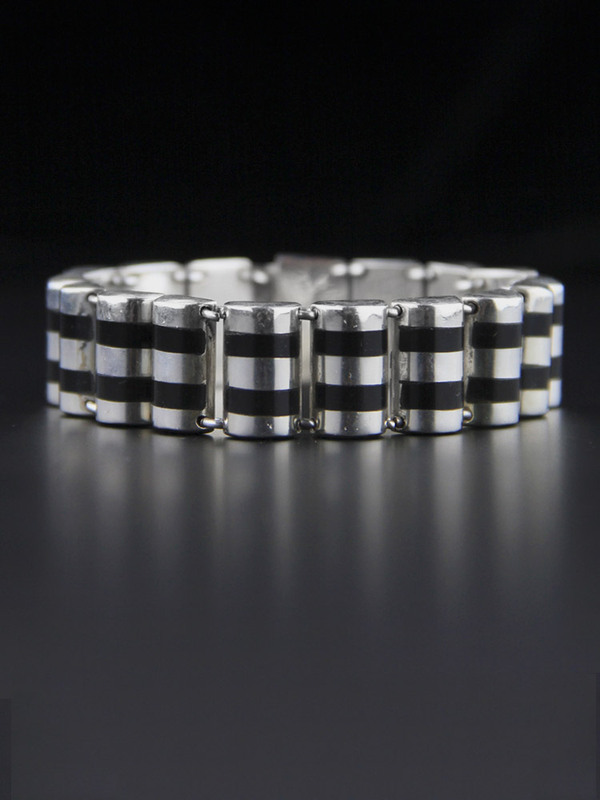 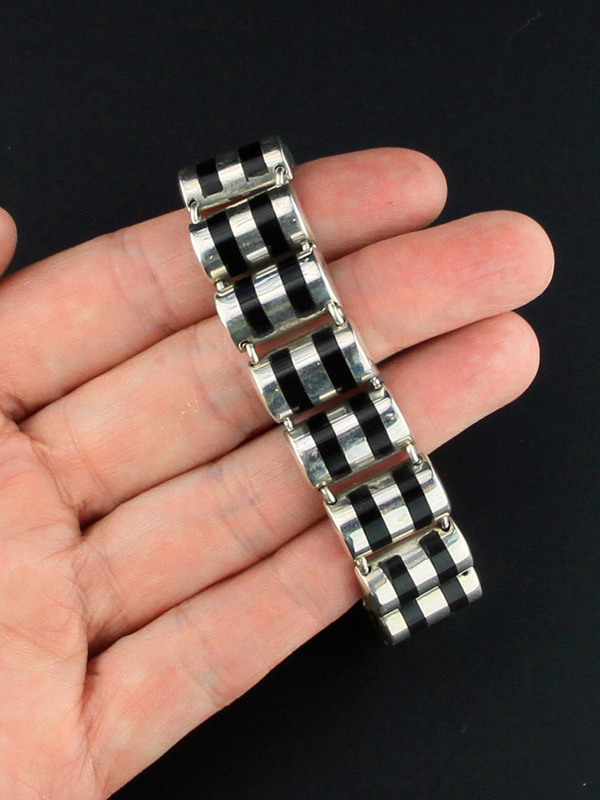 Seventeen links of silver half barrels, hand made in Taxco, Mexico circa 1980s, these lovely articulated hinges move beautifully, inlaid with onyx in stripes. 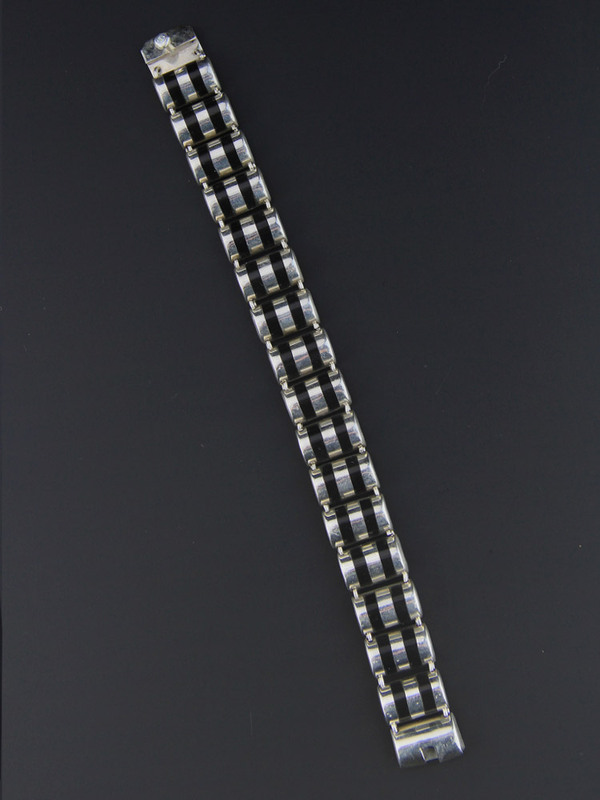 Exceptional design and a nice gauge of silver but not too heavy to wear, this is a finely crafted bracelet, an exceptional Taxco piece by J Gomez.